We’ve been traveling too much recently. I never thought I would have to admit it, but it is true. Five cities in the last five weeks, one on a different continent. Younger people who have not yet traveled much regard us with envy, but they don’t know how miserable economy air travel can be. How difficult it is to eat well, get enough exercise, sleep deeply and maintain some sort of psychological balance. The only recent trip I treasure was triggered by a friendship my wife formed when she was a law student in Europe. She met Katherine on a course in Luxembourg. 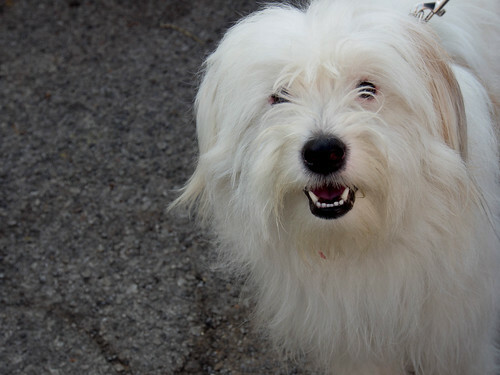 Several months later, my wife’s new French friend showed up in Montreal just before Christmas. She had decided to make Canada her new home. Slowly, but surely, Katherine established a base in Montreal without ever giving up her connection to her homeland. 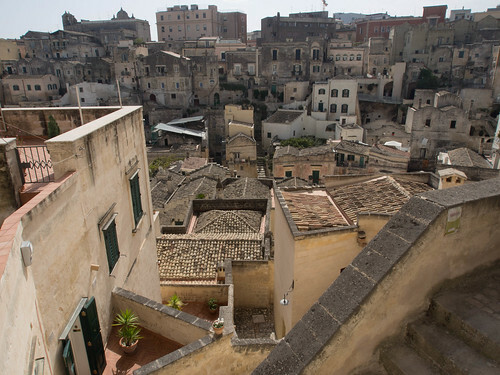 A few years ago, she and her brother were offered a new challenge in yet another country— the prospect of taking on the upkeep of their grandmother’s house in southern Italy. My wife and I may have inadvertently encouraged Katherine in the folly of investing hard-earned income in an old, family house. She had visited us at our place in Grand Pre, Nova Scotia, Canada. 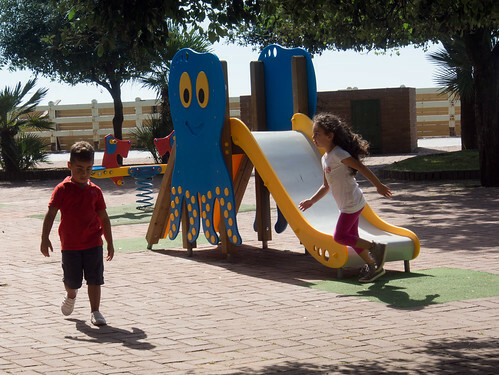 When we heard that she was considering the project, we did not go out of our way to discourage her. It may be, of course, that we were picturing ourselves on the verandah with a glass of Proseco in one hand and an appetizer in the other. 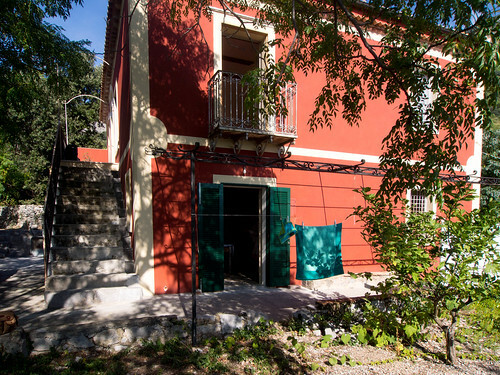 The home happens to be located in a village perched right above the Mediterranean, about two hundred kilometers south of Naples. Despite her French upbringing and legal training, Katherine could not have anticipated the wrangling that acquiring the property would cause. She was related to most of the families in the village, of course, and each family seemed to believe they had a legitimate interest in the house, the land or both. The first meeting with the village notary sounds like something straight out of Kafka or Fellini. It took years to sort out the title. Only then could the rebuilding begin. The roof was leaking. The wiring and plumbing were ancient. The house needed a new kitchen, a bathroom. New doors and windows. Furniture! 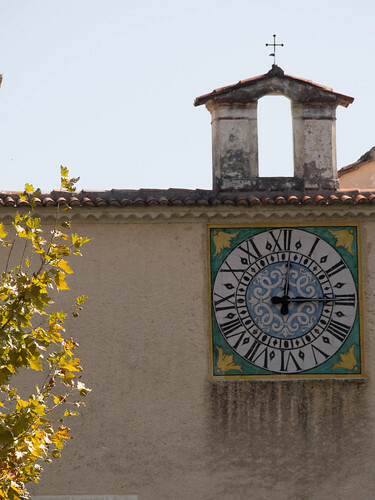 Having some notion of what house restoration entails with steady workers and good craftsmen, we put our invitation to visit Katherine’s Italian villa on the back burner. This was Italy, after all. Maybe someday…. And then last year Katherine popped the question we’d been waiting for: when are you coming to visit? Some of our Canadian friends in Ottawa were just as keen as we were. They had visited Sicily two years ago, a trip which whetted their appetites for seeing more of southern Italy. Our journey started at Dulles Airport just outside Washington DC. All four of us were all booked on the same transatlantic flight to Brussels, then on to Naples. Brussels Air specializes in low fares and uncommonly uncomfortable seats, but we made our connection to the Lufthansa flight without a problem. We flew down the spine of Italy, dipping our wings over Venice. The Naples airport is right in the city and it feels like you are coming down through the laundry. It is a good introduction. We had booked a medium size Ford to accommodate the four of us and Katherine, assuming she might wish to accompany us on day trips. It was spacious and the visibility was great, but it felt a little wide for Italian roads and we never discovered any seat belts for the center seat in the back. Thanks to my unerring route-finding ability, we promptly got lost on the way to the hotel. What should have been fifteen minutes took forty-five. Fred and Darlene had been given tickets to the opera that very night, but my good wife and I were happy to have dinner and head to bed. North American tourists tend to avoid Naples, believing they will find themselves in a dirty and dangerous third world city. We did not spend enough time there to determine if that is an accurate picture, but it is a medieval city, confusing, impoverished and probably risky if you don’t know which parts to avoid. 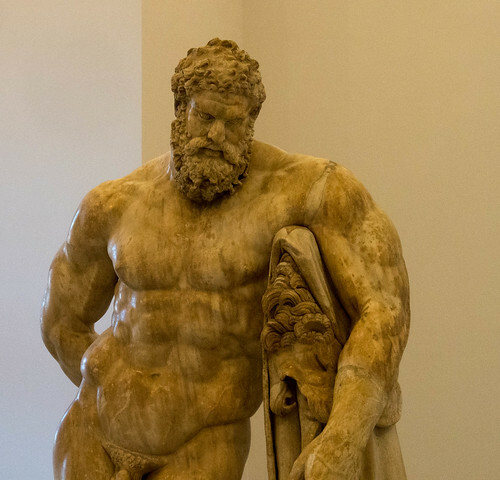 The main attraction is the Museo Archeologico National, which holds some of the best artifacts from Pompei and Herculaneum as well as the wonderful Farnese collection from Caracalla. 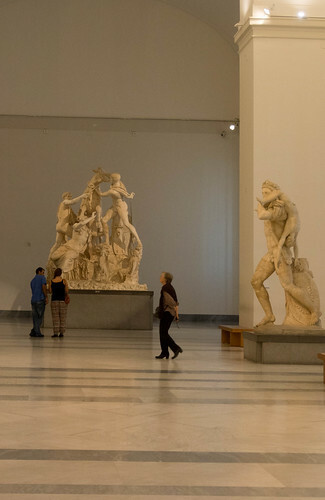 The museum alone is worth braving Naples. After a day at the Museum and a little exploration of the old City we decided to drive to Herculaneum and Pompei, taxing my navigational skills on an all day adventure. On a previous visit to Italy I had taken the trouble to download a set of maps to my GPS device. This proved absolutely invaluable. Southern Italians seem to consider directional signs of marginal utility. Everyone who is anyone should simply know how to get there. Capisce? 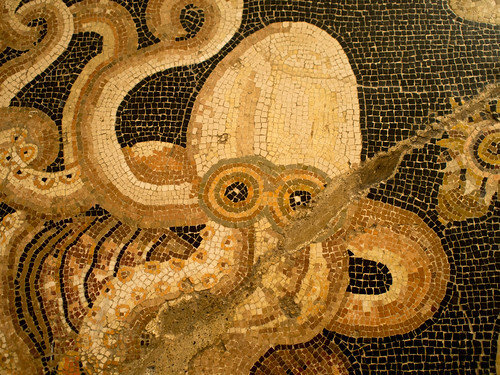 Herculaneum, like Pompei, was destroyed by the eruption of Mt Vesuvious in 79AD. Most of you will know the story. 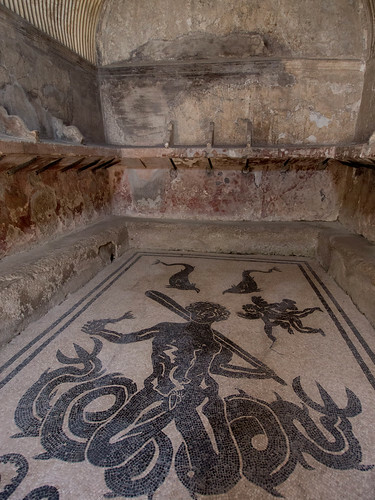 Herculaneum was a residential retreat for wealthy Romans, just 12 kms south of Naples. 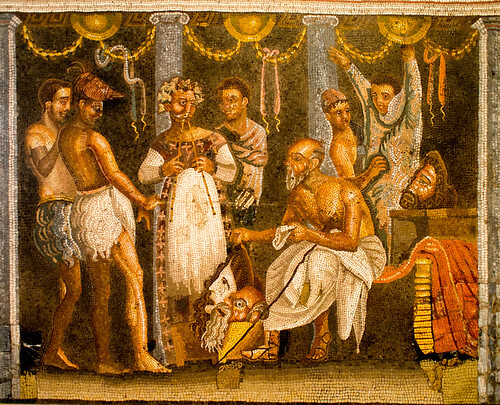 Pompei was a much larger city, with a population between twenty and thirty thousand. 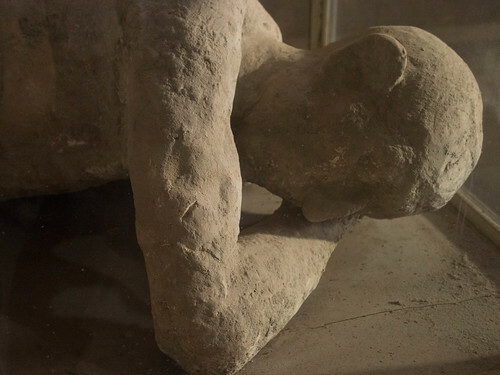 When Vesuvius erupted, Pompei was destroyed by hot ash that gradually buried the city. 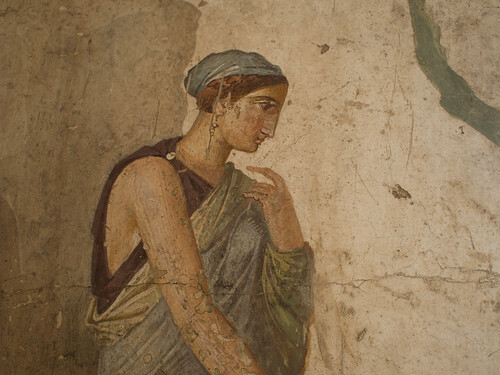 Herculaneum was covered by lahar, a river of volcanic mud. Most of Its victims were overwhelmed by poisonous gasses as they waited, in vain, to be rescued by sea. Both sites were forgotten for over fifteen hundred years. Twentieth century tourism has made up for the lost time. 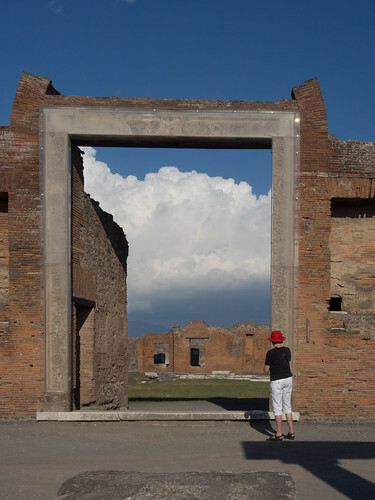 The sites are mesmerizing and unsettling, conjuring up life in ancient Roman times shadowed by the sudden apocalypse. Mt. Vesuvius is dormant, not extinct, and it towers over a city with over half a million people. Far more frightening is the super volcanco situated just to the west of Napoli. When the four-mile wide sunken volcano of Campi Flegrei blows up, the explosion could be two hundred times greater than the Icelandic eruption that brought chaos to Europe, grounded planes for a week and is believed to have cost the world economy well over 4 billion dollars. Italy’s super-volcano could trigger the extinction of life in Europe. Following our visit to the two haunting sites, we loaded up the car and headed South. Our destination was a region of Italy called Basilicata. It is sandwiched between the densely populated Campangnia (with Naples) to the north and the mountainous Calabria to the south. Basilicata’s share of the Tyrrhenian coastline is just 28 kms, but it is a spectacular route that offers some heart-stopping views and the tiny village of Cersuta, where Katherine’s house had been built. Until recently, this was an undiscovered area of Italy. It was desperately poor for years, prompting many of the villagers to head overseas, wherever they could to make money. Many of Katherine’s family members went to Venezuela. 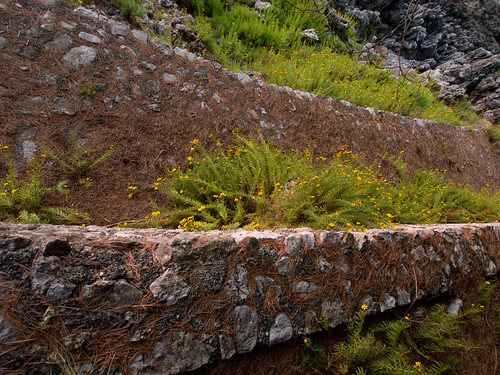 Cersuta is part of a collection of villages amalgamated as Maratea. It is now a popular tourist destination for Northern Italians and other Europeans. I was puzzled by Katherine’s complicated directions until we actually approached the village and spotted her standing by the side of the road waiting to flag us down. The only parking available to us (and her), was a flat spot just above the highway. The village is built on the flank of a hillside. Some houses are accessible by car, but many are not. Fortunately, cell phones now make the parking issue less of a problem than it used to be. The highway hugs the coast, snaking its way south about a hundred feet above the ocean. Our friend, Fred had to take that into account when he rose early for his constitutional. The only place to walk was along the highway into the next village. For reasons we never did figure out, all the locals walk who take to the highway on foot walk in the same direction as the traffic. The shoulder is very narrow, so they put a great deal of trust in the neighbors. 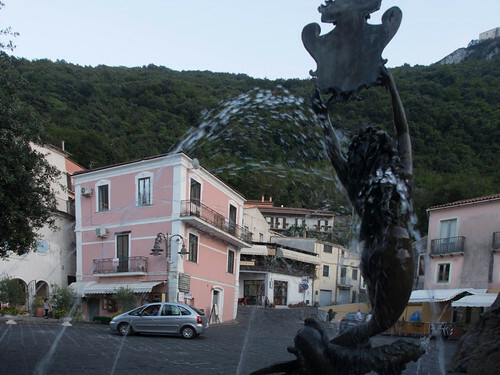 Cersuta may well be the smallest of the villages that make up Maratea. Its only commercial establishment is a large, popular fish restaurant. 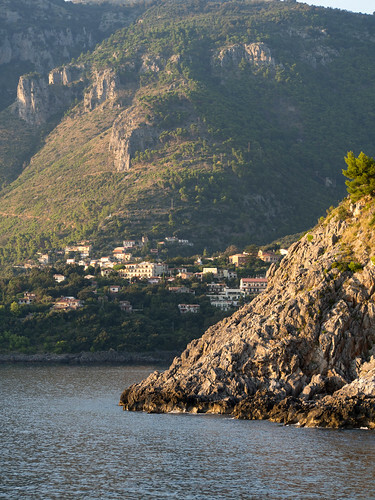 Most days, we would drive into Maratea Inferiore nestled up in the mountains. 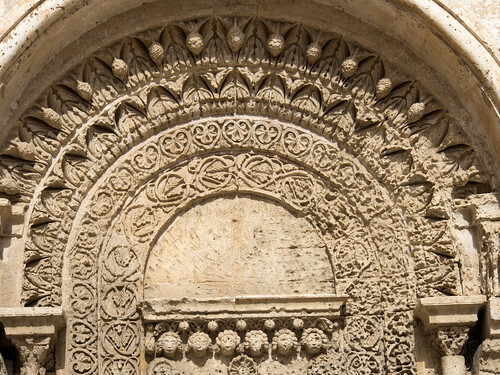 Constructed on 8th century Greek foundations, it is a warren of steep, slender, stone streets and ancient churches. 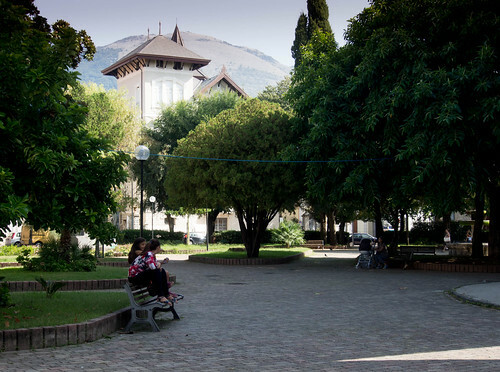 The town hall usually offers a weak, semi-reliable wifi signal accessible from two benches on the square. 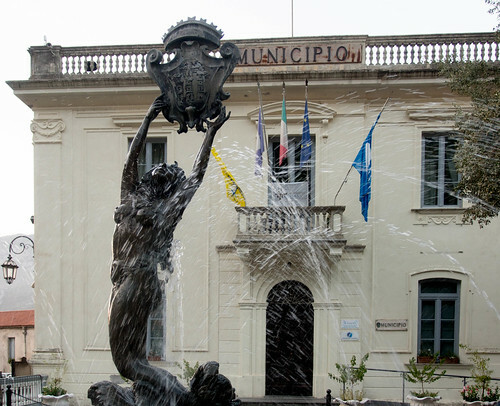 The bench immediately outside City Hall was our “office.” Maratea Inferiore holds a shopping area, restaurants, cafes, and a couple of B&B accommodations. 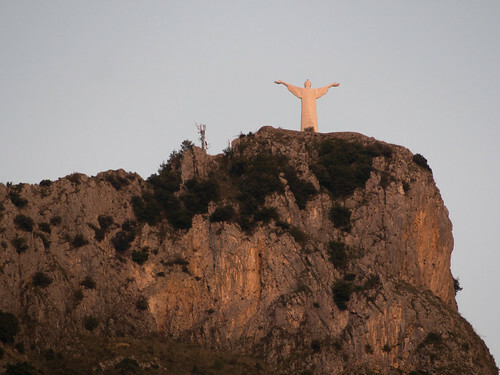 Perched high above the village at 635 meters is a 20 meter white marble statue of Christ, built in 1963. Nearby is a huge hotel and convention center. In Italy, Christ is never very far from commerce. Our days at Cersuta were filled with very little in the way of planned activities— breakfast, lunch and dinner, interrupted by whatever took our fancy on any particular day. We went swimming whenever we could. There was a steep and somewhat treacherous descent to the nearest “beach,” which had virtually no sand, but did offer access to the stunningly beautiful, salty sea. The weather was unseasonably warm for early October and the water was buoyant and lovely. One afternoon we saw a young man taking a Newfoundland dog out across the headland of sharp tufa rock and going for a swim. Another afternoon, we came upon a group of village ladies who were “taking the sun,” gossiping in a dialect beyond my rudimentary Italian. 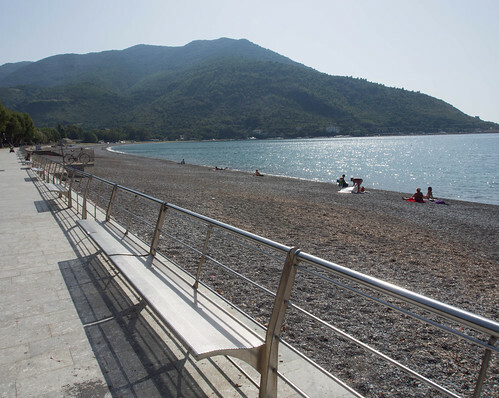 We did our major grocery shopping trip in the nearby town of Sapri, with its boardwalk, shops, park and outdoor market. The opportunity to relax and enjoy the surroundings, sunshine and company was too good to resist, so our excursions were few. 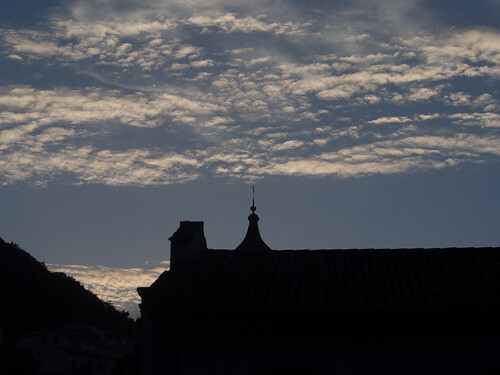 The first was to the hilltop community of Rivello. 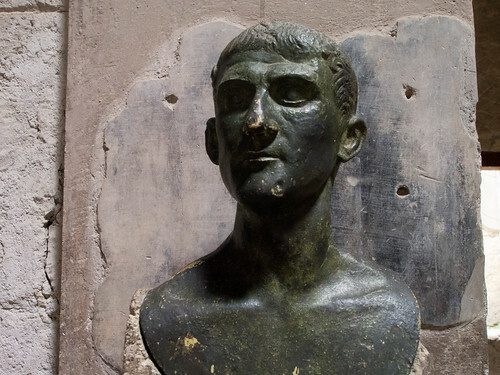 Archeological discoveries suggest that the village is the heir to the city of Lucan, dating to Pre-Roman times. 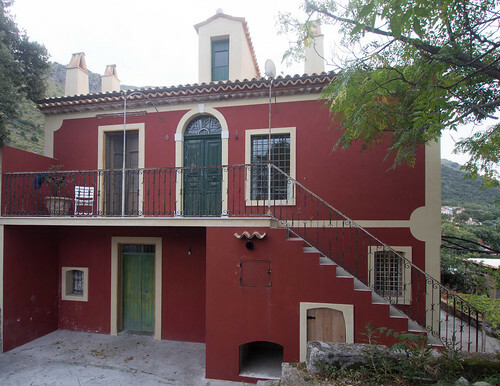 There seems to have been a division between the inhabitants of the upper town and the lower town, those adhering to Catholicism and and those go Greek Orthodox faith. 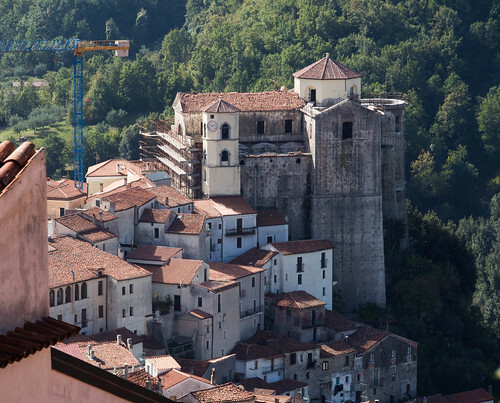 The most important monument is the Convent of St. Anthony, in the lower part of town. It dates from 1512, and some of the frescoes go back to the 16th century. 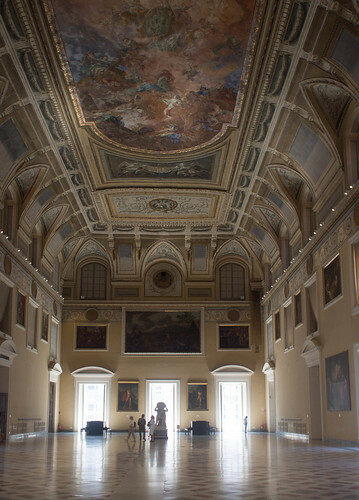 It was rebuilt in the Baroque style in the 18th center, but the early paintings were preserved. 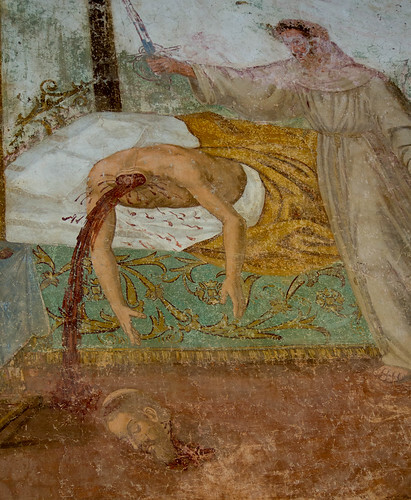 The gory one is a metaphorical depiction of St. Anthony executing a a representative of the corrupt church at that time. Our last trip was a trek across the Appenines, which render North/South travel difficult and time consuming in southern Italy. We wound our way across and around mountains of Pollino, heading northeast toward a well known tourist destination— Matera. 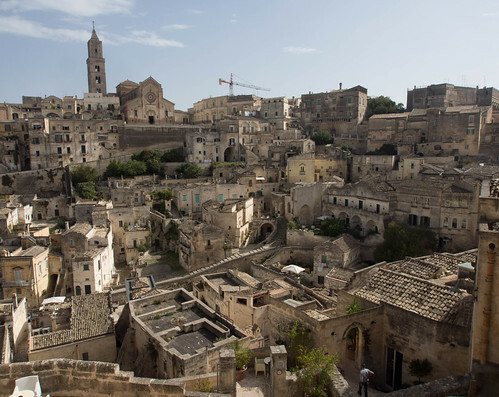 Matera may be the oldest continuously inhabited city in all of Italy. 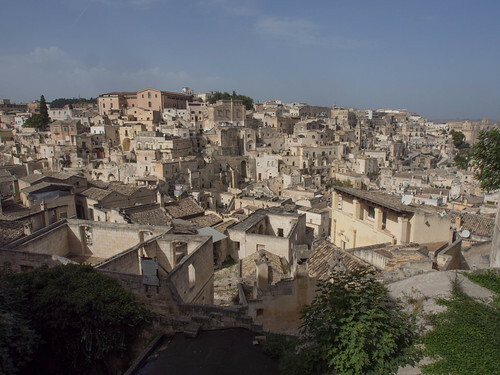 It dates back at least seven thousand years, when humans took advantage of the area’s easily large ravine with its natural caves and soft tufa stone to create a subterranean city. Until the arrival of the Normans in 1064, the town was invaded over and over by Hannibal, Goths, Lombards, Franks, Sarcens, Byzantines and others. An ingenious network of small canals and dealt with water and sewage. 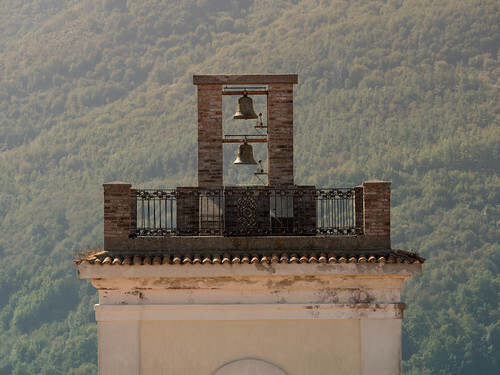 For awhile, Maratea offered local peasants a community with churches, hanging gardens, serpentine streets and a livable dwellings. 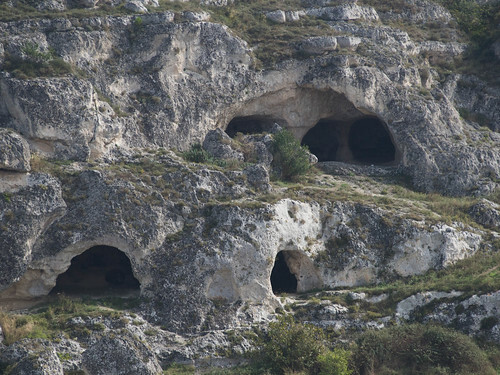 Problems arose early in the 19th century, when an exploding population led peasants to move into “sassi” (cave dwellings) that were previously reserved for animals or storage. The expanding population overtaxed the sanitation infrastructure and brought malaria as well as other diseases. The squalor was brought to the attention of the world by “Christ Stopped at Eboli,” a memoir published in 1945 by a gifted young man from Turin who had been exiled to the area in the 1930’s by the Fascist government. 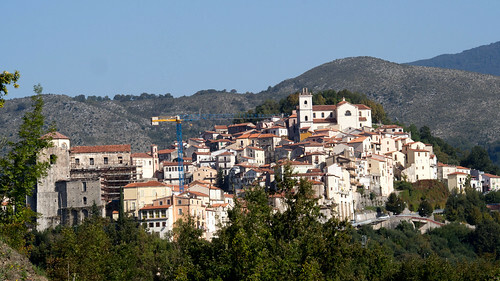 The reaction to Carlo Levi’s book finally forced the authorities to take action, but it was not until the fifties that they forcibly relocated 15,000 of the town’s inhabitants. Matera then fell into decline for years. But its spectacular setting, three thousand subterranean houses and three hundred and fifty churches finally started attracting visitors. The making of Pier Pasolini’s “The Gospel According to St. Matthew” in the sixties and Mel Gibson’s “The Passion of Christ” in 2004 the area helped the cause. 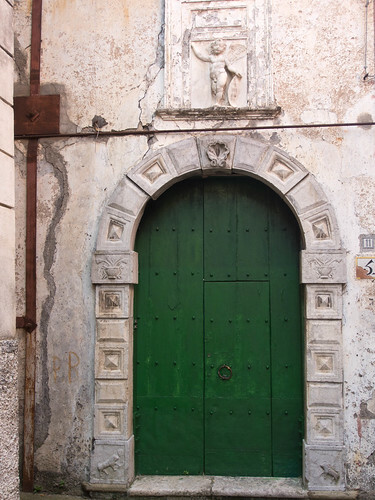 The city was awarded UNESCO world heritage status in 1993 and it is now one of Italy’s major tourist attractions. 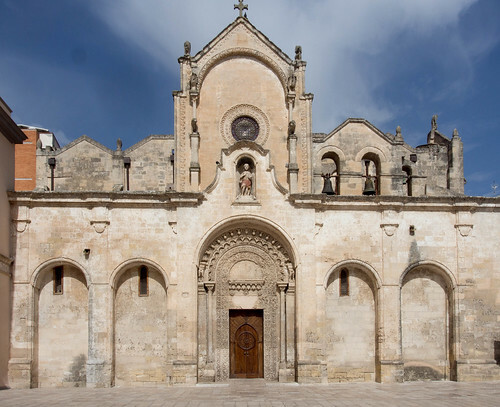 Unfortunately, our travel to and from Matera did not leave us much time for exploration. We had decided to do it as a day trip, and the driving alone took nearly seven hours. If you find yourself in Italy, you must eat, and that takes time, too. We had one of our best restaurant meals in Matera. “Christ Stopped…” is still in print. It is full of astonishing characters and bizarre tales of life among villagers in this region of Italy in the 1930’s. Levi had medical training and saw a side of peasant life that is both humorous and heart-wrenching. He sheds fascinating insight on the uneasy relationship between Italians of the North and South, who seemed to find themselves conjoined without having anything in common except the language of Dante.